UPDATE: 3 hours 18 minutes. You can now get to the front page but click on anything and it still fails. They appear to have changed hosts to cloudfront. But I guess they are still trying to configure things. UPDATE: 2 hours and 24 minutes in and the website is still down. But now it does not even show the screen grab from below. This is funny because its not my problem. Click Frenzy a Magento built website that apparently has christmas specials from over 200 retailers just waiting for the whole of Australia to purchase at 7pm ESDT has failed. The shop has been live for the last 50 minutes. As expected it can not cope with the traffic and has been down for the majority of that 50 minutes. They have a screen saying they are trying to clear the stampede. Good luck. A lot of people are going to give up before you get things sorted. You got all this publicity and you didn’t spend the cash on enough servers to keep it running. Should have just hosted it with Magento Go and had them handle the traffic. 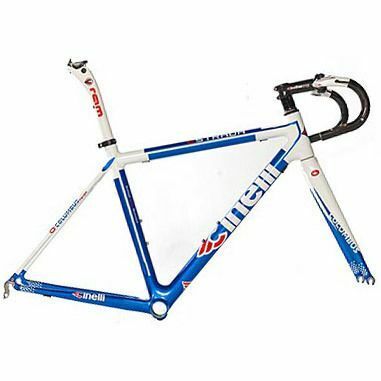 It is actually a lighter frame than the other Cinelli frame I ordered last week. 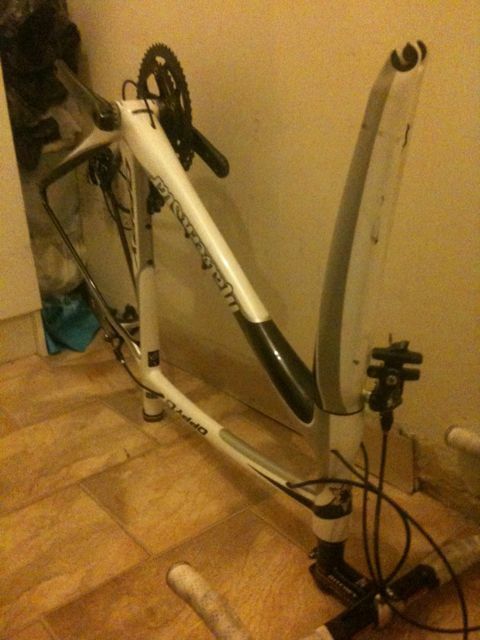 This one also comes with the seat post, Bars and stem. So all up actually a better purchase. Now I need to organise the group set. After Ultegra 6700 Groupset. Currently out of stock, Also need BB30 Adaptors apparently but Peter is looking into this (I’m outta my depth) So taking the steps to get back on the bike. Not a cheap exercise. But I stripped everything Off the Oppy C5 on Saturday. Looks a sad state now.